We are delighted to offer our DJ and Sax Player package for weddings, corporate events, or indeed any event where you fancy a bit of sax! 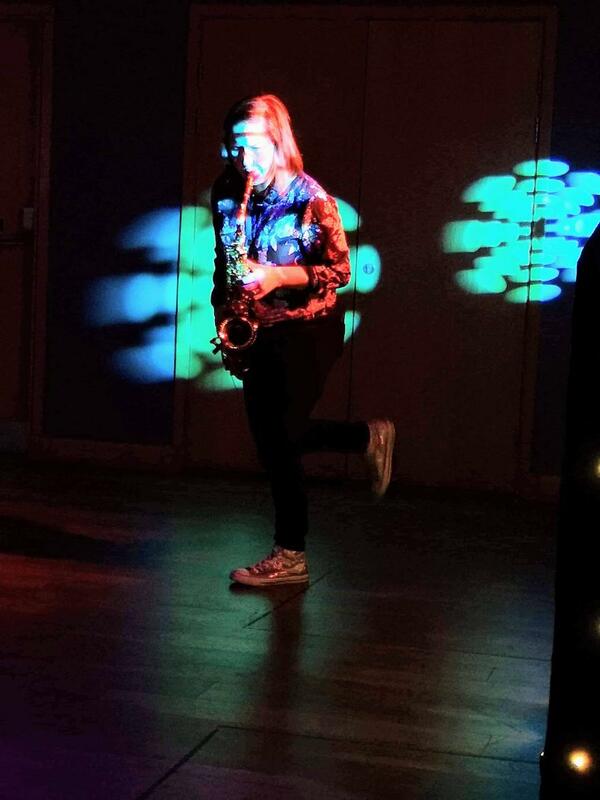 Our popular combinations of DJ Becky or Paul and Anna on Sax are a sure fire hit at any event! We offer reasonable rates, please email paulcroan@gmail.com or call for a bespoke quote tailored to your event. Anna can get the party going on her sax and is experienced in playing sax alongside DJs in bars and clubs and at private events. She is a graduate of Leeds College of Music, has gigged in various jazz and pop/dance bands and has played on house music tracks. She can improvise freely to any style of music and is happy to play tunes to backing tracks. Anna loves to add something extra to a DJ set.